Carmen Miranda, also known as the Brazilian Bombshell, was a Portuguese-born Brazilian samba singer, dancer, Broadway actress, and film star who was popular from the 1930s to the 1950s. 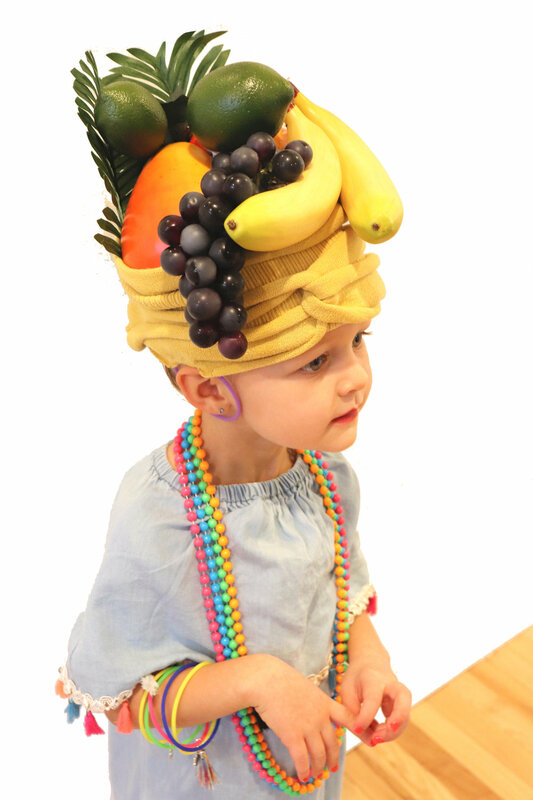 She is remembered for having these beautiful wrap hat topped with fruit and flowers. My kids love having dress-ups and I thought this would be an easy dress-up to make for my little princess who always wants to wear my high heals, jewelry, and lipstick. I also wanted something other than a princess dress in the house for her to dress up in. Here is a tutorial video I made to show you how to make this look at home. I was also featured on Studio 5 for three dress-ups I made from old shirts.